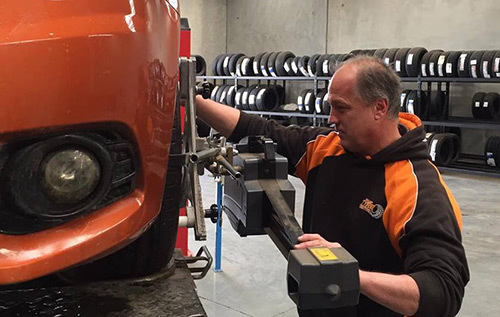 Expert in Wheel Alignment is the hallmark of the service at Wallan Tyre Centre. Ray and his Team offer a level of skill which is second to none. 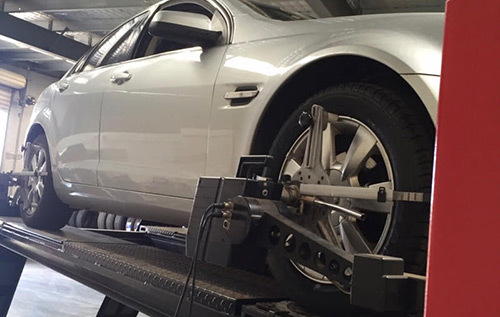 Wallan Tyre Centre can also offer Wheel Alignment services for vehicles up to four and a half tonnes, with a special hoist that caters to transit vehicles, trade vehicles and smaller Trucks as well as passenger vehicles. A Wheel Alignment measures, adjusts and positions the wheels of your car to ensure the least amount of wear on your tyres and suspension. Once the Alignment is correctly set it will ensure greater fuel economy, better handling,even wear on your tyres. Your car will be safer to drive and the life of your tyres will be significantly extened. If your car is pulling to one side, uneven wear on your tyres. After hitting a kerb or driving over a nasty pothole or when you are replacing your tyres. 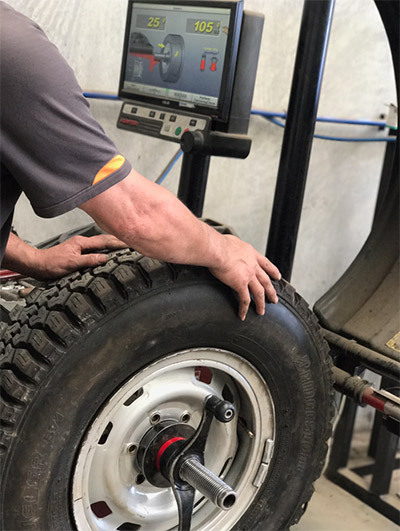 A wheel balance involves redistributing the weight of your wheels to provide you with a smooth ride, extend the life of the tyre, and increase performance and your vehicles safety. This ensures that your tyres and wheels do not have a heavy spot, which may cause vibration, and premature wear. Different vehicles will wear their tyres at different rates. For example, a front-wheel drive will wear its tyres very differently from a rear-wheel drive. Station wagons and utilities- because of the lack of weight over the rear wheels, will also wear at varying rates. One of the best ways you can look after your tyres is by rotating them regularly. Swapping the rear tyres to the front and visa-versa ensures the tyres wear evenly and last significantly longer. As a guide, tyres should be rotated every 10,000km usually the time you get your car serviced. Any questions, feel free to speak to Ray or Josh and they can recommended if needed.